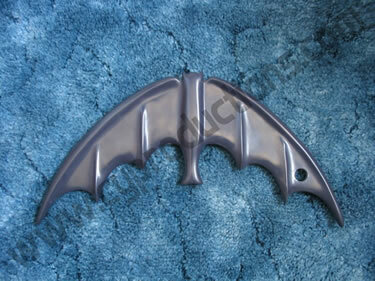 The non-folding Boomerang is made of solid urethane and is available in Blue or standard Black. There is no paint to scratch or chip off because the urethane itself is dyed the color you want. This will keep it looking like new for years to come. 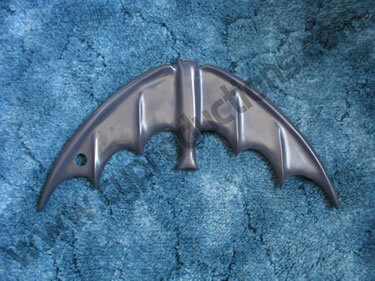 It measures 16 inches wide and even has the hole for the rope so your ready for your next bat climb. This beautiful prop replica looks and feels just like the real thing and you won't find a nicer one anywhere.